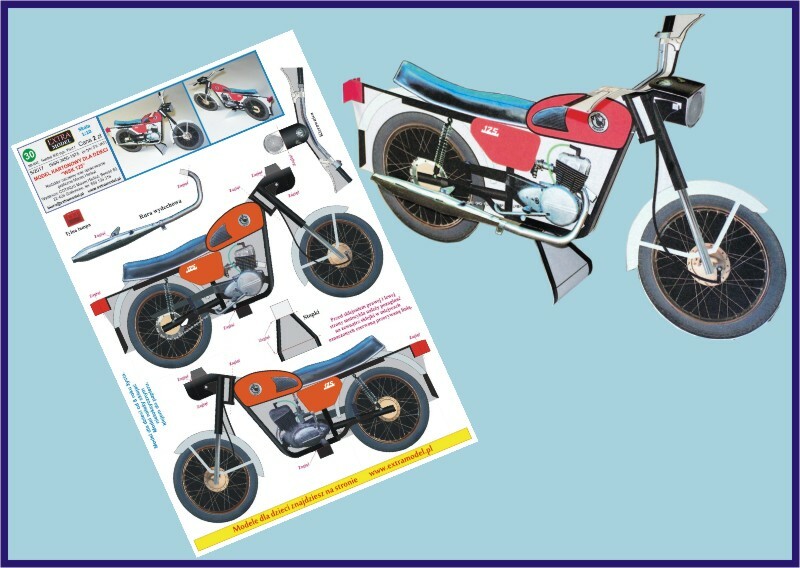 Model of motorcycle WSK 125. Model not only for beginners. scale: 1:120 designer: M. Herbut skill level: 1/5 sheets with parts: 1 assembly drawings: n/a available accessories: none Model of Polish river monitor ORP "Toruń" (1939). Model not only for beginners.